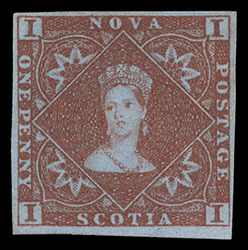 Nova Scotia, 1853, 1d red brown, unused without gum, four ample to large margins, wonderfully fresh on deeply blued paper, accompanied by 1d black plate proof on card, fresh and Very Fine; with 1986 Brandon certificate. Scott No. 1 $2,500. SG No. 1 £3,000 ($3,940). 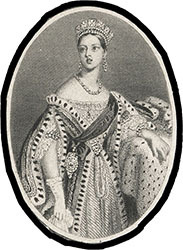 The 1853 Nova Scotia 1d by Perkins, Bacon was the first representation of Humphry's engraving of the Chalon portrait on a postage stamp. New Zealand, 1853, Chalon Portrait, circular die essay on thin paper, this was a Bank Note die trimmed close to circular frame, Very Fine. Scott No. 1E. SG No. 1E Estimate $300 - 400. 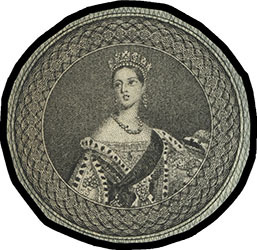 New Zealand, 1853, Chalon Portrait oval die essay on card, trimmed to oval frame, the head and shoulders here were used for the New Zealand stamps, Very Fine and scarce. Scott No. 1E. SG No. 1E Estimate $200 - 300. New Zealand, 1853, Chalon Portrait tall oval die essay on card, trimmed to oval frame, Very Fine and scarce. Scott No. 1E. New Zealand, 1853, engine-turned background trade sample on thin card, octagon trimmed showing "7" die number at top, fresh and Very Fine. Scott No. 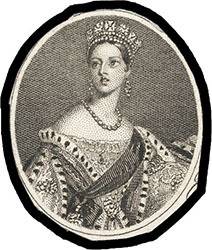 1E. SG No. 1E Estimate $150 - 200. 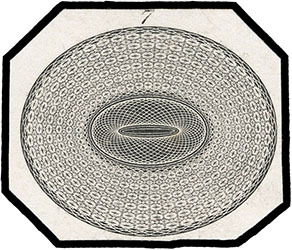 This trade sample by Perkins, Fairman & Heath with pattern used in the New Zealand stamps for the background outside the circle containing the portrait.